An SEO audit identifies what on your website needs attention (if anything), from an SEO perspective. It’s an incredibly rare website that doesn’t. SEO audits tend to focus on technical SEO, when technical SEO is no longer enough to rank well. For reasons of Google protecting their ad revenue, they’re constantly working on improving the quality of search results. That way we continue to use them as a search engine, they get more “exposures”, and sell more ads. But an important aspect of “quality” is how well the content meets our needs, which might be to learn something, to find something, or to simply be entertained. It is the Nature of SEO is that content quality matters as much (but not more) than technical SEO, and quality content is used to attract needed links. 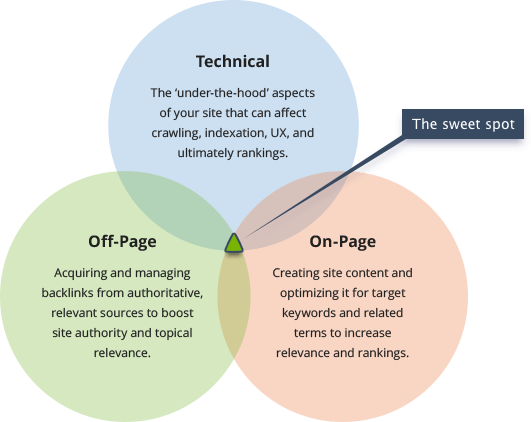 There is an extensive checklist of items that go into technical SEO. 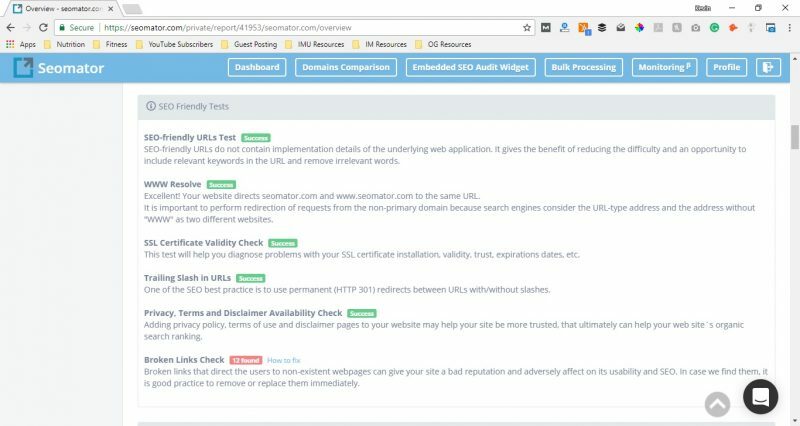 So many items, that tools which audit sites for technical SEO compliance provide value and have a market. Below is a sample technical SEO checklist. Does your site have an up to date sitemap.xml file? Do your website pages load slow? The names of the blog post categories? Are your blog post category names SEO friendly? Do your blog post titles contain your important keyword phrases? Are missing important SEO elements? Are duplicates of articles found elsewhere? Contain similar SEO title tags to other posts? WordPress has a few SEO critical settings which are easy to set, and WordPress can be extended or enhanced with plugins, some of which provide critical SEO functions. When Matt Cutts was “the voice of Google” to SEO practitioners the world over, he once said WordPress is the most SEO friendly platform available. However, making a WordPress site SEO ready is not enough. 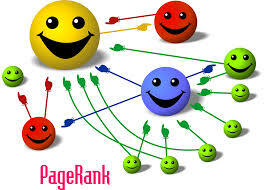 The content manager or webmaster must make use the SEO tools effectively. For example, WordPress websites do not write title tags, and SEO secondary titles, people do. The tools make it easier for us to do so, but we still have to do it. While you’ve got to get the technical SEO stuff right, that is no longer enough. You’ve got to publish content that others value. Quality content. This is critical to the success of your SEO. Most websites in 2017 have loads of low-quality content from years past (when crappy content could rank). Identifying this low-quality content so it can later be either updated or purged requires judgement that computer robots are not (yet) good at. Having said that, below is a list of quality criteria, some of which is subjective and hard for software to “pass judgement” on, and some of which can be easily verified through software. Unknown to most people, Google hires humans to rate the quality of website. The instructions they provide to these people are the closest thing Google publishes to “the rules of SEO, per Google”. Within the instructions document they provide, Google defines the concept of E-A-T, which stands for Expertise, Authority, and Trust. Those attributes apply to both the author of an article, as well as the website it appears on. This is one reason why an article published on washingtonpost.com has an SEO advantage over the very same article being published on a website with less authority. Having said that, Google acknowledges that one reason people search online is for entertainment, so believe it or not, there IS a place in an SEO strategy for cat videos, and if a cat video is very entertaining, it’s of high quality. But More Seriously… Is Your Content Link Worthy? It’s useful to think in terms of the link worthiness of the stuff you publish. Is what you publish good enough that people will reference it in their posts and articles? If you publish mostly content that isn’t, your site may never rank well. Before you write a new blog post, search for what you’re writing about. Read all the results that show on the first page of the Google Search Engine Result Page (SERP). Then you know what you’re up against. You need to publish something AT LEAST as good, but preferably better. There is SEO value in getting your website tagline, blog post category names, and blog post titles “right”, where right means SEO friendly. I once worked with a man named Bill Belew who coined the phrase “The Golden Thread” to describe this idea. The Golden Thread consists of four things: your website/blog title, your website/blog tagline, your blog post category names, and your blog post titles. Since the blog post title is the least important and almost EVERYONE has one that is not SEO friendly, I’m leaving it out. Even I violate this rule with our website title, and I know better. In WordPress, you set your blog/website/tagline in Settings > General. The field is labeled “Tagline”. It is (or at least needs to be) an English language sentence of 8 to 12 words that provides a high level description of what your website is about, with a focus on “SEO friendly” words (the, a, an, etc are NOT SEO friendly words, but are needed to make proper sentences) with no word being used more than once. The tagline for our website is “Content Marketing and SEO: Software Tools, Consulting, Coaching, and Online Training”. The SEO benefits of blog post category names are twofold: 1) When you configure your WordPress permalinks correctly (one aspect of technical SEO), the category names show in the blog post URLs, and 2) You should choose good SEO friendly blog post category names. When you do BOTH of the above, your blog post category names provide SEO benefits. So what are good SEO friendly blog post category names? Words and phrases the people search for and are relevant to your blog topic. Names some people find “cute” are generally not SEO friendly. For example, for a website about SEO, a category name of “Inbound Marketing” or “Content Marketing” is good, while a blog post category named “News” is not so good. Having said that you can have one or two “unfriendly” category names out of 10 to 12 total blog post categories, but no more than that. The Golden Thread is completed with your blog post titles. What you want is that there be a “thread” of common topics between the website tagline, the blog post category names, and the blog post titles. The SEO benefits of blog post titles is similar to that for blog post category names. When you set your permalink structure so you’re blog post titles appear in the URL AND use SEO friendly titles, your posts (and your site) gets an SEO boost. So what makes a good SEO friendly blog post title? SEO friendly blog post titles should be 55 to 70 characters, including spaces, where you use as many SEO relevant words as possible, without using any word more than once. They should also read like English language phrases. While you might be tempted to create blog post titles that do not contain words like “the”, and “a”, use those words, but keep their use to a minimum. The vast majority of people do not read online per se, we scan. That being the case, you improve the reader’s experience on your site when you make your pages and blog posts easy to scan. The secret to success with this can be summed up in two words: white space. For anyone who is not familiar with the term, it refers to providing lots of blank background against which it is easier to see and process the text in the foreground. There are three things we should do to make this better for our readers. Use section headings that accurately describe what the next few paragraphs are about. No surprises. Don’t make your readers think about what they’re going to read. Make it clear and obvious. Paragraphs should be no more than 3 sentences, and that is only if they’re short sentences. For average length to long sentences, limit each paragraph to no more than 2 sentences. Use bold text to draw the eye to the important information in a block of text. Calls to action are not SEO per se, but why do you want people to come to your website? To become leads? To become customers? To that end, we need to be nudged, so every blog post needs one or more Call to Action (CTA) buttons. Guidelines for effective Call to Action buttons are similar for guidelines for making blog posts more readable. The shortest way to say it is “Less is more”. Your CTA should be visually obvious, use simple language, and tell the reader exactly what to expect, what to do, and how to do it. For example, if you’re offering an eBook in exchange for contact information, the language in the CTA button might say “Download the eBook: Click Here”, assuming that they’ve previously learned what “the eBook” is. Both are critical to the success of your SEO, but content audits are (currently) harder to do via software. 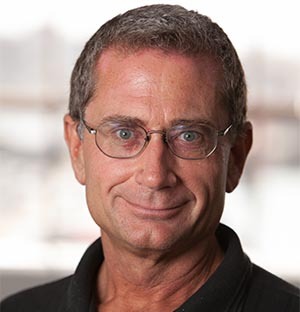 Kevin Carney is an expert in SEO and Content Marketing. He teaches and writes on the topics of Content Marketing, SEO, and WordPress. Kevin founded and runs Organic Growth, a company providing SEO software tools, training, and coaching. Kevin can be followed on social media at @kevinbcarney, +KevinCarney, and LinkedIn, and contacted on the Organic Growth website.